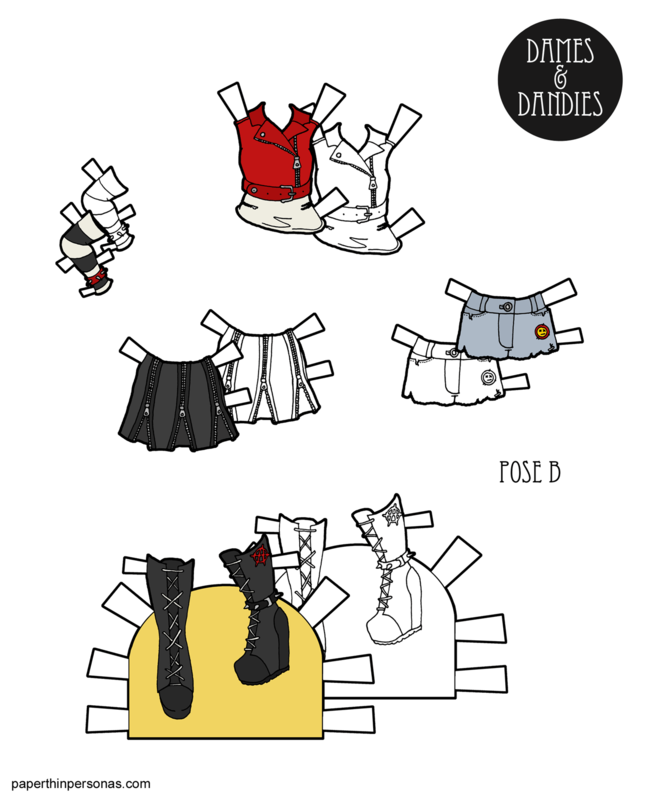 Printable Black & White PDF Printable Color PDF More Paper Dolls & ClothesSo, a few weeks ago I made a list of themes I hadn’t drawn for the Dames and Dandies yet and I have been gradually inching my way through the list. 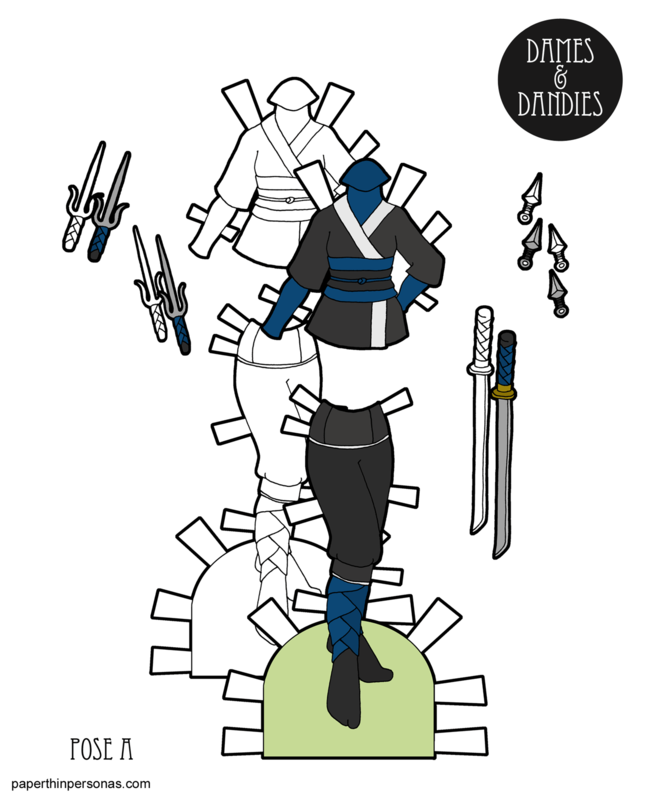 Today’s paper doll is one of those themes- the ninja. 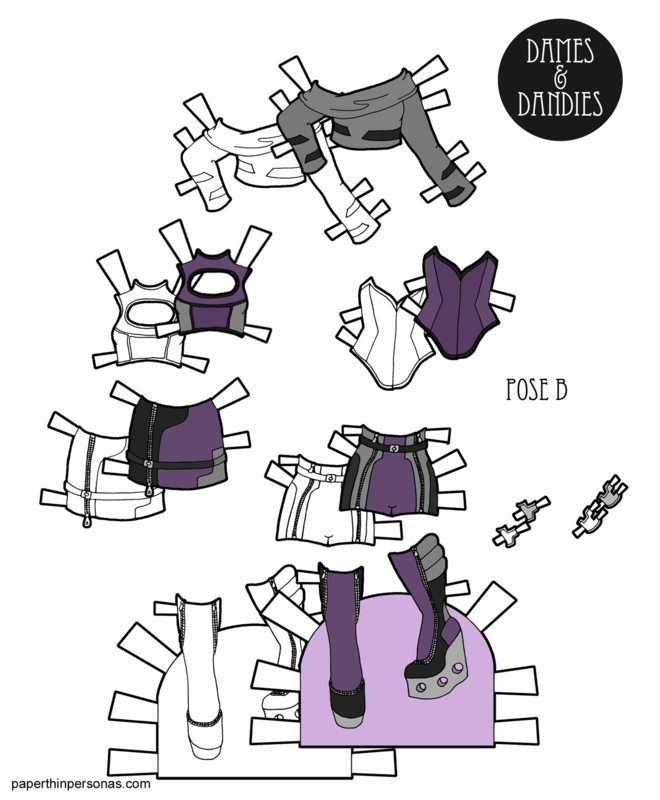 I have to admit I do basically no research for this ninja paper doll outfit. Everything I know about ninja I learned watching martial-arts films in college. Most of which were subtitled from Hong Kong and only half of which I actually completely could follow the plot. I wasn’t as much of a fan of the genre was some dear friends were. 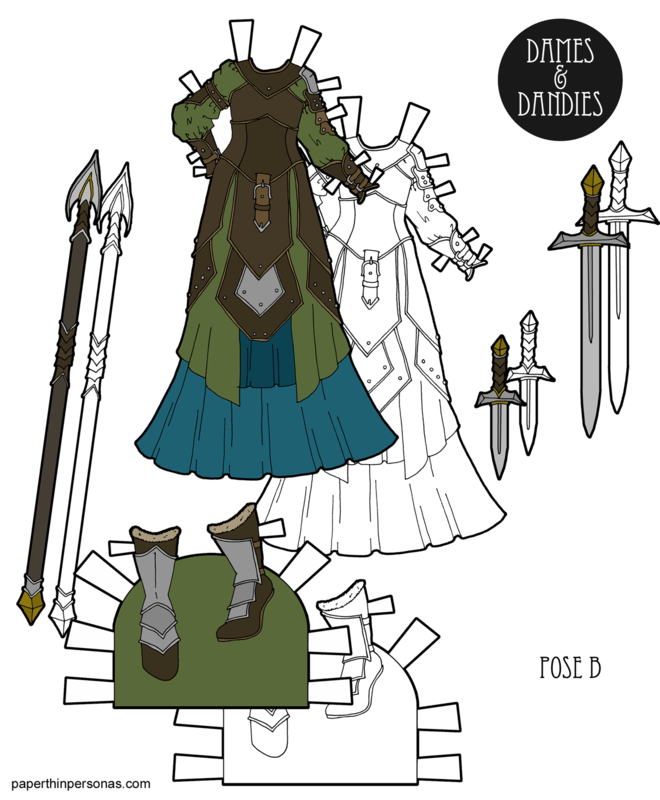 Anyway, the films heavily influenced my ideas of what ninja might wear, though (as mentioned) there’s no historical basis of this interpretation. I also watched a lot of Teenage Mutant Ninja Turtles as a child and this probably impacted me in strange ways.